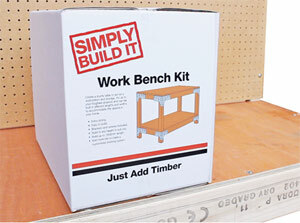 Win a Simpsons Workbench Kit Worth £50! Simpsons Strongtie, more famous for building consumables, have come up with a fantastic product – The Simply Buildit Work Bench Kit. The kit includes all the brackets and screws you will need to build a sturdy, hardwearing and long lasting workbench for your garage or shed, all you have to do is add the timber! All you have to do is decide on the size of your bench, cut the timber and screw it together, how easy it that! To find out how to use this kit to build your very own bench check out our project here..
All you have to do to be in with a a chance of winning this kit is answer a simple question and enter your details into the form on your right. 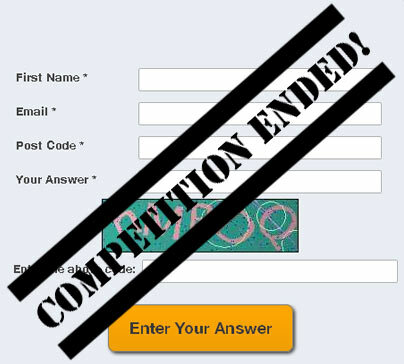 This competition closes on the 8th of June 2014. The luck winner will be selected at random from all correct entries and runners up prizes will be provided subject to availability. Good luck! Hint: The answer to this question ahould be in the above project.